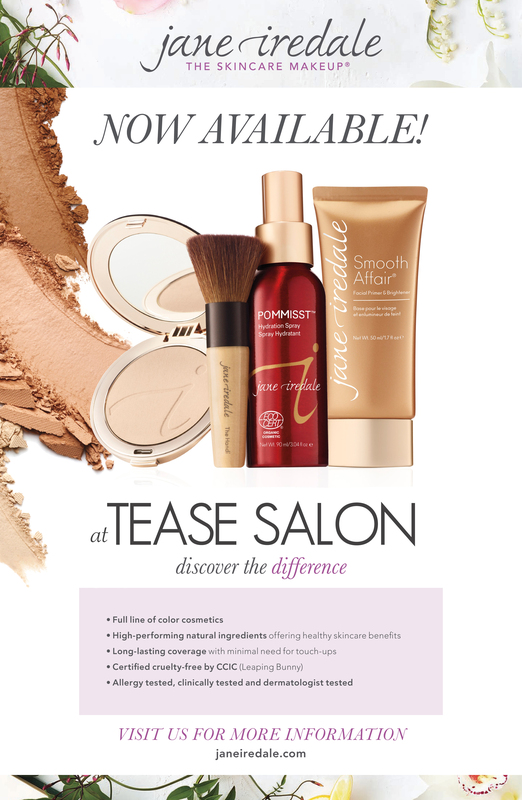 We are super excited to announce that we have partnered with Jane Iredale cosmetics and now offer the complete line at Tease. Get ready to GET GORGEOUS! Known as The Skin Care Makeup, the Jane Iredale line is mineral based and uses natural ingredients that actually nurture your skin. It’s even embraced by dermatologists and plastic surgeons around the world because of its ability to cover, soothe and protect your skin. The foundations offer sheer to full coverage capabilities depending on the needs of your skin and the look you’re going for. Plus, it’s great for all ages and any ethnicity. These amazing minerals are available in a huge variety of shades so there’s one for every type of complexion. They can be mixed, layered and blended to give you unlimited possibilities. Everything from soft & natural to full-on, turned up glam. If you love wearing makeup but are afraid of the effects they often have on your sensitive skin, this is definitely the line for you! 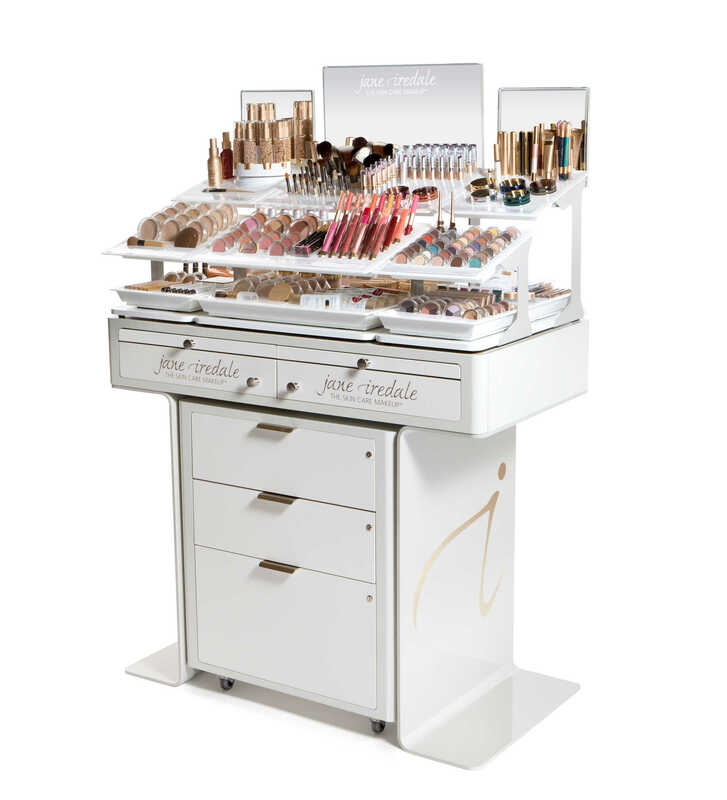 We have our display all set up, so if you’re a makeup junkie, (like we are) you can stop in to test out all the goodies for yourself!